We know Denia and its surroundings perfectly, as we are established in this beautiful town for more than forty years and, in that sense, we could give you useful tips about the places to see and the areas to visit. We would love to welcome you here! We came to Denia in 1975, we liked it and so we decided to stay to attract people from all over the world to show them the beauty of this area. 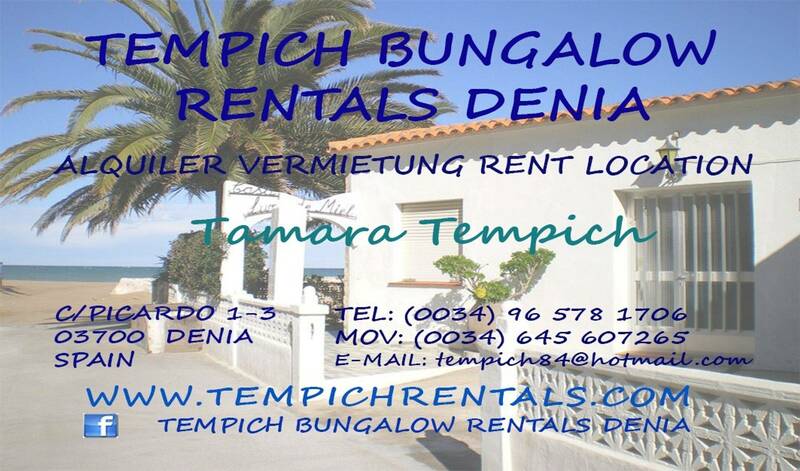 We run a family business in which we offer six very comfortable bungalows for rent, each one with a different style and of course, and the most important, with a personal touch. So we would like you to discover the beauty of this area by staying in one of our lovely bungalows right beside the Mediterranean sea.